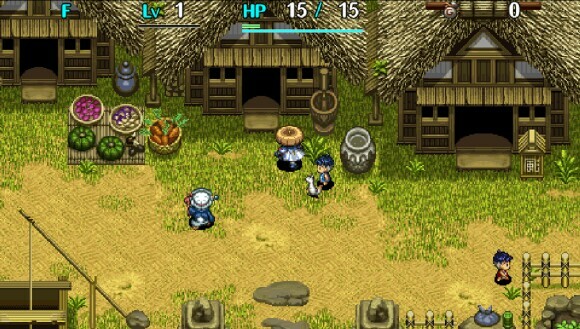 “Shiren the Wanderer: The Tower of Fortune and the Dice of Fate” is the fifth game in the "Shiren" series from developer Chunsoft; and while the title has already been released in Japan on the Nintendo DS and Playstation Vita, it has finally arrived in North America with the help of Aksys Games. 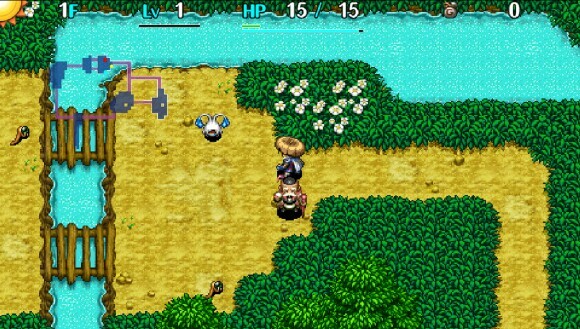 Shiren is the main character of the game, who is accompanied by a talking ferret named Koppa. The title opens with Shiren and Koppa entering a town in which a young man is determined to change the fate of his beloved and storms off to face the trials within the “Tower of Fortune” in order to get the Dice of Fate. As Shiren and Koppa make their way through the first dungeon and arrive at the tower, they meet a girl in a panda suit named Tao who offers to be their guide, for a fee of course. The game follows Shiren, Koppa, Tao and the young man as they traverse the three towers in an attempt to save a young woman’s life by changing her fate. "Shiren the Wander" is branded as a “roguelike RPG” and that title definitely suits it. 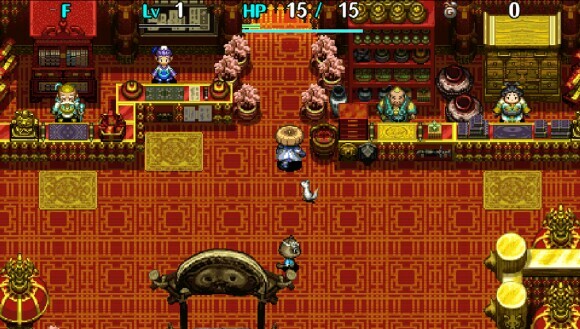 In Shiren, the player navigates grid-based dungeons and must defeat monsters, and sometimes solve puzzles in order to proceed. There are three towers to climb, each one more difficult than the last: The Tower of the Past, the Tower of the Present, and the Tower of the Future. 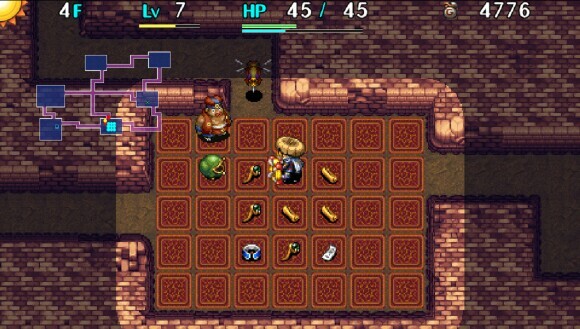 As the player progresses through the dungeons, Shiren gains experience and also levels up. And as with most roguelikes, when the player dies, Shiren loses all of his items and equipment. Plus the player drops back to level one. Upon death, the dungeons will change and the monsters change up their positions as well. 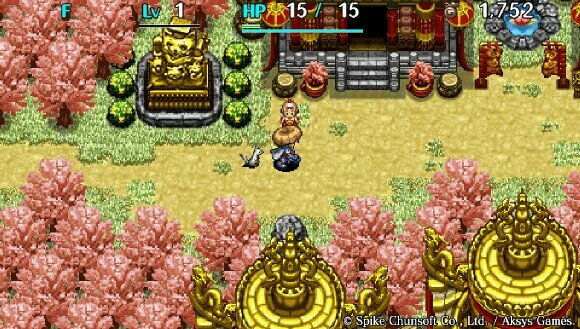 Aesthetically, Shiren doesn’t seem to push any graphical boundaries. It does an excellent job of recreating the nostalgic period within the Japanese culture, but the background textures, as well as the characters themselves, can appear muddled and muted. The audio work from Shiren isn’t that great either, with the exception of the soundtrack which is a beautiful orchestra of Japanese influenced tracks much like older games with the JRPG banner. However, the sound effects when you’re attacking enemies and even enemy screeches are very generic. What Shiren does get right is its approach to gameplay. When it comes to inventory management, you must be aware of what each item does and how it will benefit or even hinder your progress through the dungeons. Defeating enemies is simple enough - just face them and attack. But what about which weapon to use and what shield to bring? What if there are multiple enemies surrounding you? Should you use a spell or try to separate the group? Its gameplay is simple, but the mechanics and how to use them are vast. Shiren is not a difficult game to grasp, but it may be hard to “get good” at it. There’s an abundance of mechanics such as item usage, storage management, grid movement, line of sight, and more. Controls are simple enough to understand; the analog stick or d-pad controls Shiren, circle allows you to move faster (much like a dash), X attacks, Square allows you to take the time to aim (good for precision targeting), and triangle opens your menu. "Shiren the Wanderer: The Tower of Fortune and the Dice of Fate" is a fun game if roguelike dungeon crawlers are your forte. It definitely scratches that itch that may have been missing from the PS Vita library. 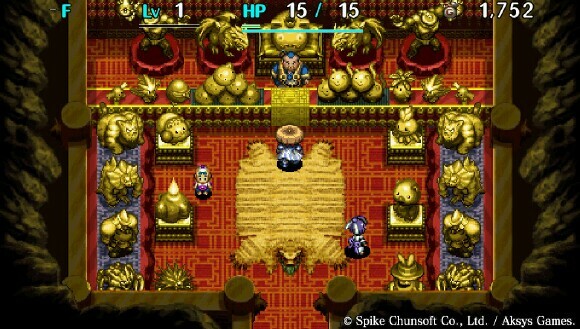 If dungeon scrolling roguelikes are what you enjoy, much in the vein of Rogue Legacy, then Shiren might be the next game to put onto your PS Vita. 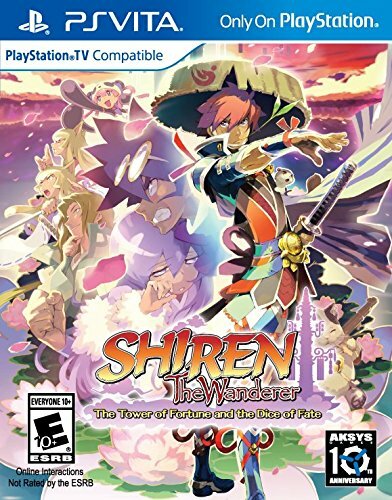 "Shiren the Wanderer: The Tower of Fortune and Dice of Fate" is 3.5 out of 5 TOV Stars.